Inspiring Rider: Meet Etienne, the 74 year-old surgeon with a taste for the Harley® lifestyle! Dr. Etienne Le Roux is one inspiring gentleman! Not only does he ride a Harley at the ripe age of 74, but he has managed to clock an impressive 153000km's in only 3 years! 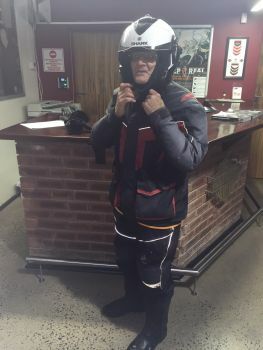 A member of our Durban H.O.G.® Chapter, he doesn't even let rain get in the way of a day out on his Harley-Davidson® motorcycle. Embracing the freedom that riding brings, Etienne continues to clock those kilometers and inspire us all! Let his passion be motivation for us to follow his example and ride as much as possible.